Greg’s approach to exercise is unique and tailored to each client’s individual needs. Every client receives an initial two-hour assessment. During this assessment we address posture, flexibility, core function, movement quality, and look into any red flags or orthopedic challenges that may be present. After the initial assessment, a corrective program is designed to bring the body back into balance. By restoring ideal posture, flexibility, and stability, we set a working foundation that can handle the rigors of exercise and conditioning. Whether your goal is to lose weight, get out of pain, or increase overall well being, Greg’s system of working with each individual client will put you on the road toward success. Greg’s approach to Nutrition and Lifestyle Coaching is built around the 6 foundation principles, taught to him by his mentor, Paul Chek. These are Nutrition, Hydration, Sleep, Breathing, Thinking, and Movement. By addressing these principles, we bring balance to our body, our mind, and cultivate the life force energy that can handle the rigors of exercise and the stressors of life. Working out is spending energy. This must be met with an equal amount of “working in,” or cultivating energy. 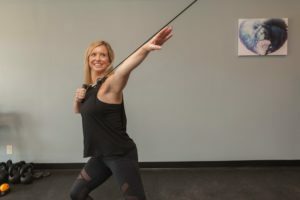 Through different dietary, breathing, and movement practices, Greg’s coaching will provide you with a wide variety of techniques to increase vitality, lower stress, and achieve your health and wellness goals. Greg has recently added massage and bodywork to his private practice. After many years of exercise coaching, Greg began to see the value and demand for massage therapy. Greg’s bodywork focuses on recovery, improving structural alignment and integration, and enhancing each client’s exercise and lifestyle program with proper soft tissue work. His massage treatments are often implemented during training sessions or coaching sessions, but can also be scheduled separately.